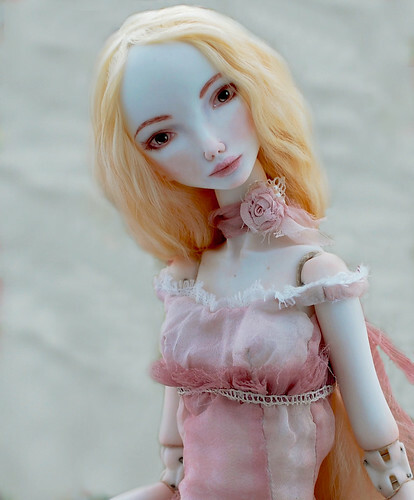 My name is Olga, I'm glad to present your my porcelain BJD. 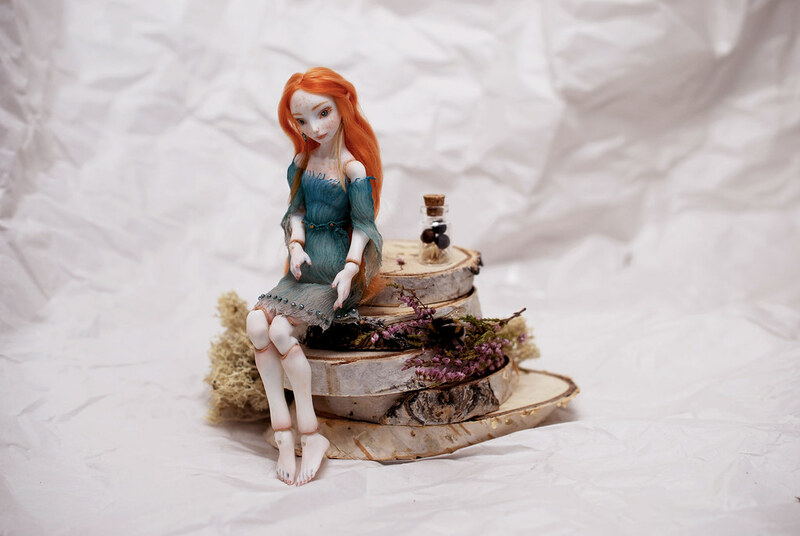 I'm doll artist from Saint-Petersburg, Russia. I create ball jointed dolls since 2012. I've painted for a long time trying to find my style. However, the paintings always lacked this energy, liveliness, and three dimensional feel. 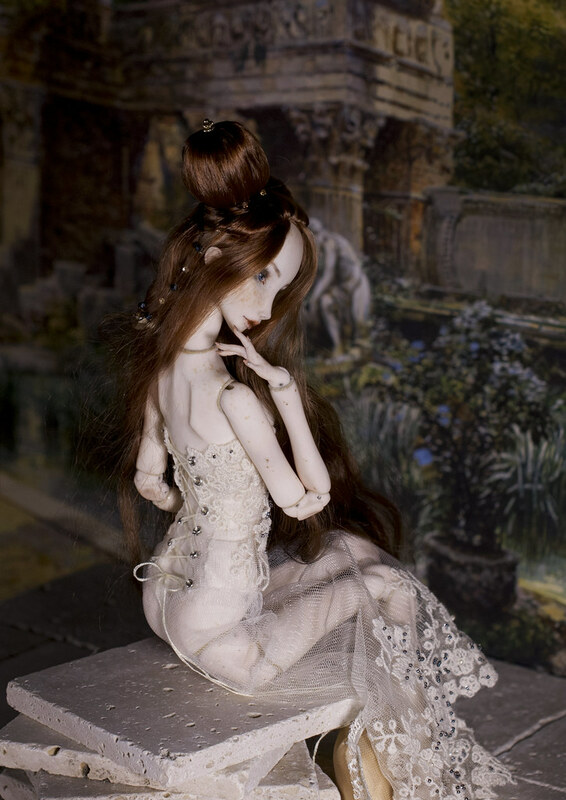 That I found in the art of BJd. 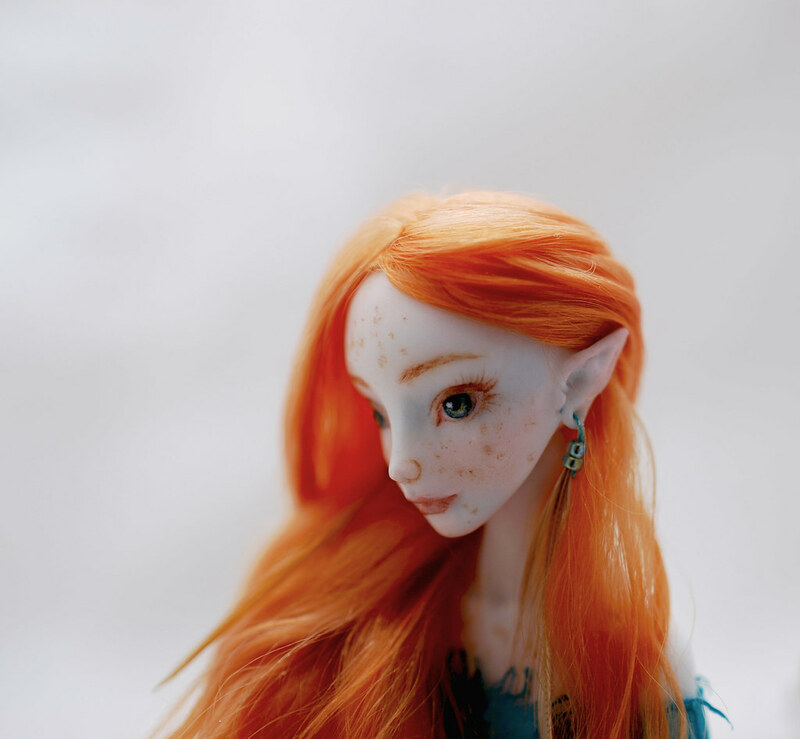 When I created my first BJD doll, I immediately understood that it's what I want to do and it's what I was looking for. 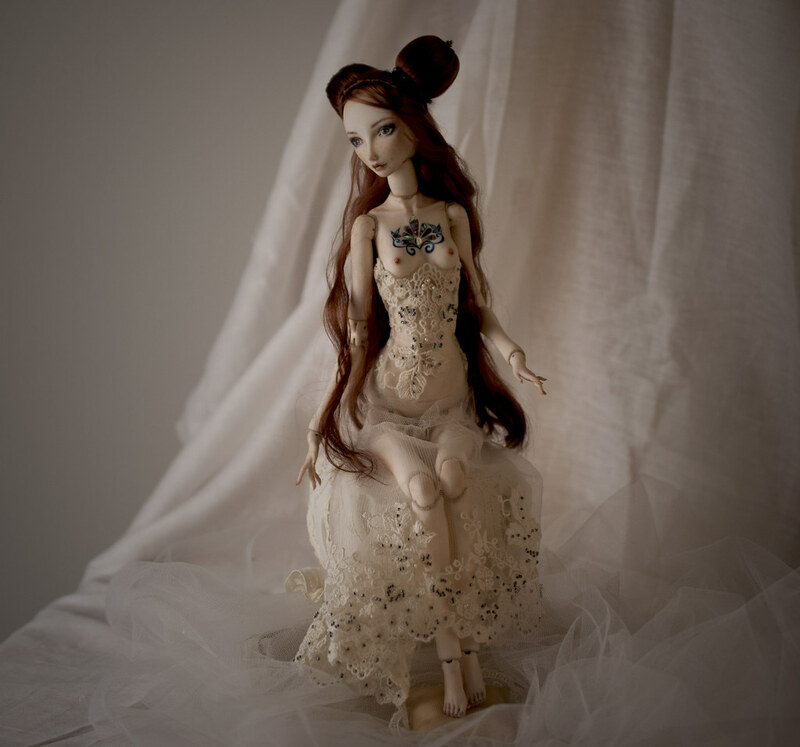 Since the art of bjd is connected with a lot of other areas, I can endlessly experiment and develop a wide array of skills from sewing to creating one of a kind miniature jewelry for my dolls. I love learning something new and developing my craft. Even though a lot of things are already invented, I'm still trying to create something new and experiment with new techniques in a process. 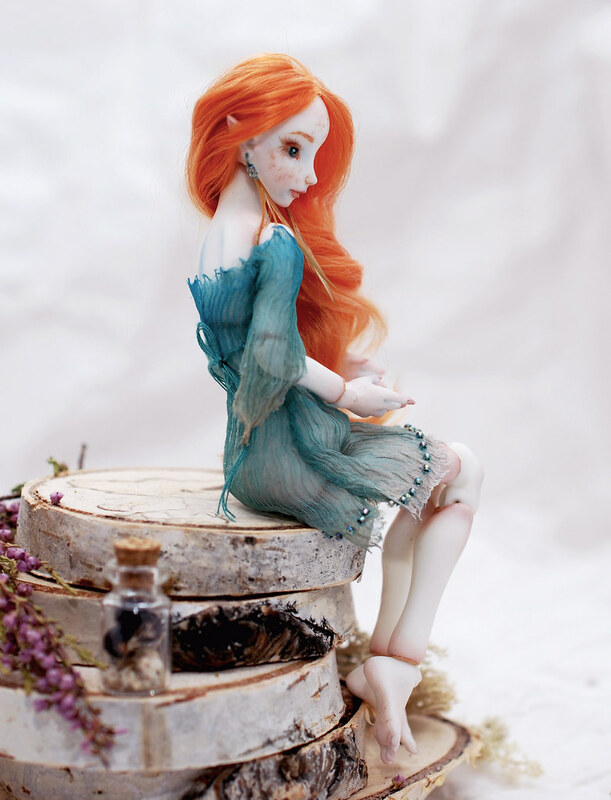 Also I would like to tell you more about my brand "Melian dolls". I have always inspired magical world: elfs, fairies, mermaids, dryads and of course, Tolkien is one of my favorite authors. In the book "The Silmarillion" there is a story about the beautiful Melian who was unmatchable in her beauty, wisdom and talent. She lives in a magic forest Doriat protecting it from evil and outside world. There is peace and harmony in her world. This story inspared me. 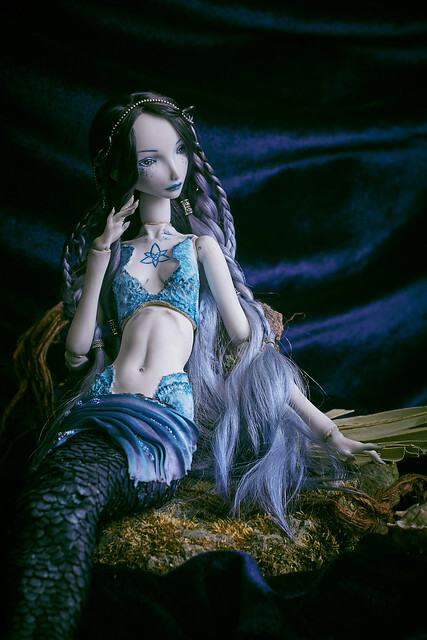 Image of the Melian is my muse in doll making. Kindness, sincerity, pensive calm and serenity - that's exactly what I'm trying to tell through my art. I love working with different size, about 15 cm or 35 cm. Now I'm working on new master model, it's about 60-70 cm tall. I work with porcelain Parian. Tiny sweet elf "Sammy". 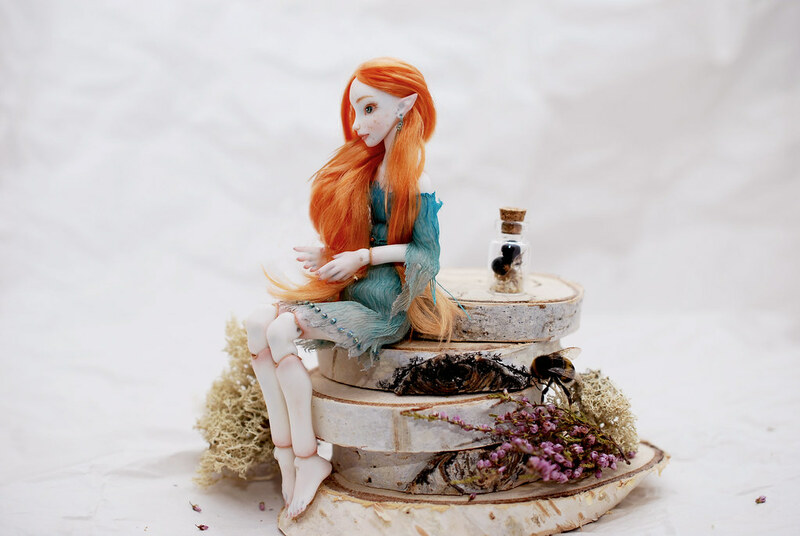 This beautiful bjd doll is 6 inch (15 cm) tall modeled in porcelain "parian", the wig are made of goat wool. The clothes of the doll are made of silk and decorated with green and gold beads Miyuki. Oh, she is adorable. Love this little elf. 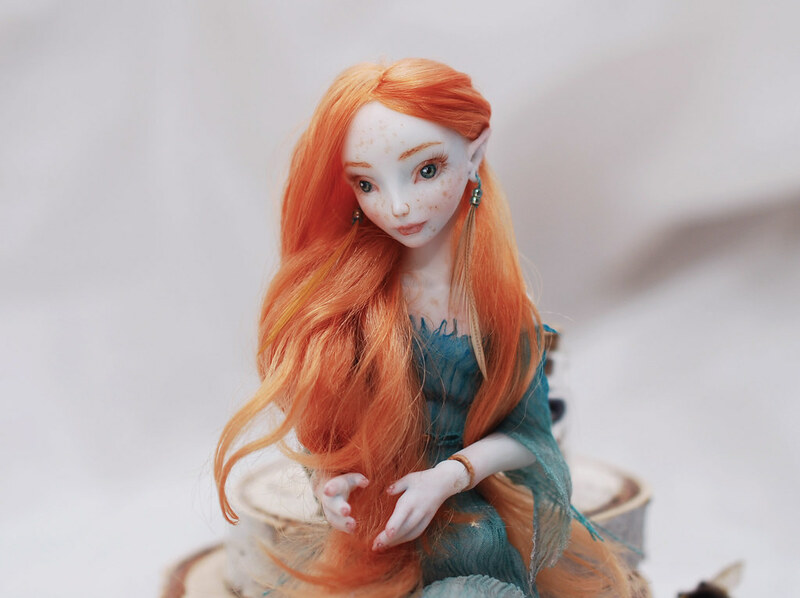 ivdolls thank you for your interest) Sammy (little ginger elf) so cute in real life! She was a person in Greek mythology, the daughter of King Priam of Troy and Hecuba, and twin sister of Helen. She was famous for her prophesies of bad events. The god Apollo gave her the gift of prophecy so that she would love him, but Kassandra did not want him. This made Apollo angry, but he could only change his gift and not take it away. So he made it that Kassandra could only foresee bad things, and that no one would ever believe her. Materials: porcelain parian, mother-of-pearl (inlaid), the clothes are made by hand from the finest lace, embroidered with beads and pearls. The wig are made of goat wool and mounted on the magnet. Cassandra is SO BEAUTIFUL!!!! Absolutely breathtaking!! I can't wait to see more pics!!!!! She is looking delightful, congratulations! lisa Dina Thank you so much! Cassandra foresaw the destruction of Troy by the Greeks; when the Trojans found the big wooden horse outside the gates of their city Cassandra told them that Greeks will destroy them if they bring the horse in the city. The historical facts are not clear but the famous phrase “Beware of Danaos (Greeks) bearing gifts” belongs to her, although there are also different versions about this phrase as well, since it was stated by different persons in tragedy “Ajax” and Virgil’s “Aeneid”. No one in Troy believed her, and the horse was admitted in the city, with the known results for Troy. When Troy fell to the Greeks, Cassandra tried to find a shelter in Athena’s Temple, but she was brutally abducted by Ajax and was brought to Agamemnon as a concubine. Cassandra died in Mycenae, murdered along with Agamemnon by his wife Clytemnestra and her lover Aegisthus. She is amazing! That inlay is so beautiful, and I love all her freckles.